Aroha – giving with no expectations of return. Manaaki – building the mana of others through nurturing and challenging. These are Māori kaupapa. They’re also universal values, understood and practiced by whānau of all races and creeds. No one knows this better than Ismail Waja, a well-loved member of Auckland’s Muslim community. This retired teacher has five children, 12 grandchildren and three great grandchildren, and is a happy man – happy because his life is focussed on helping others. 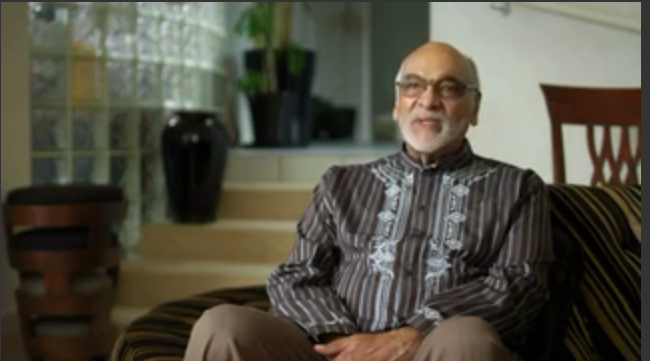 Ismail was born into South Africa’s Indian community and emigrated, with his family, to New Zealand in 1982 to escape the restrictions and injustice of the apartheid regime. In 2010 he was named Senior New Zealander of the Year. 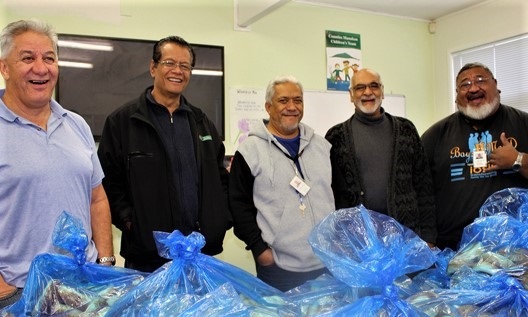 Ismail is very active in his community supporting whānau in need in a variety of different ways. He belongs to the halal foodbank and helps organise the collection of basic halal food, like beans and rice, oils and flours, for distribution through Muslim social service providers to people in need. He’s one of another group of volunteers who provide a free mobile Muslim burial service. The group operates a specially equipped van that goes to the home of the deceased to help mourners bathe and dress the body before it is buried as soon after death as possible, in keeping with Islamic tradition. Ismail was interviewed for the documentary series, Neighbourhood, which screened in March 2017. The programme shows him and the people he calls “my extended family, my whānau” conducting these beautiful burial rites which clearly bring a great deal of comfort to the bereaved. “My greatest reward is to see the big broad smiles on the faces of people who are grieving deeply but who can, at the same time, feel so elated by the way we are all able to care for the body of their loved one.